Last week, I had the honor of doing my first book club visit as a published author, thanks to my friend Connie, one of my biggest cheerleaders. 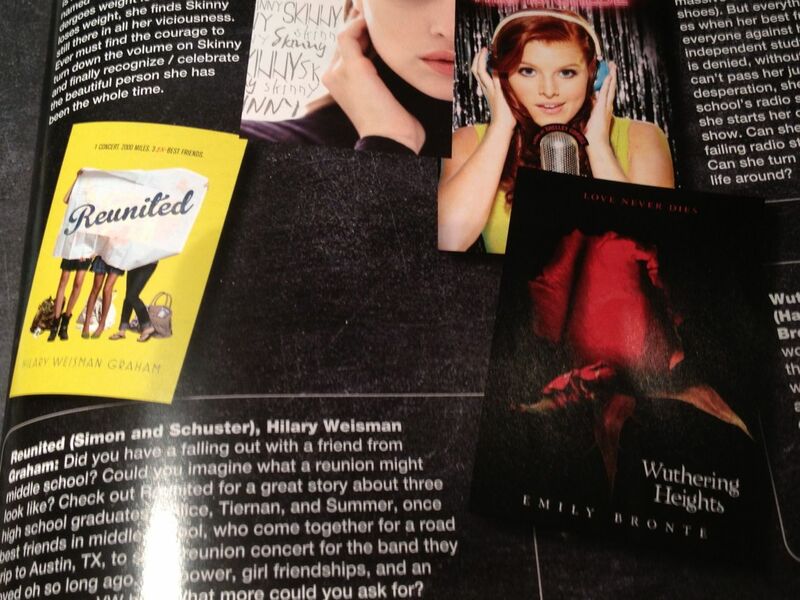 Though not technically young adults, Connie’s book club branched out from their typical reading fare in order to include my YA novel, REUNITED. The afternoon started with a fun speaking event at the Westfield, MA Athenaeum, followed by a lovely dinner with the book club gals. Having never been to a book club other than my own, it was exciting to get a glimpse of another group’s unique combination of literature, food and friends–this special recipe being the heart and soul of the book club experience. 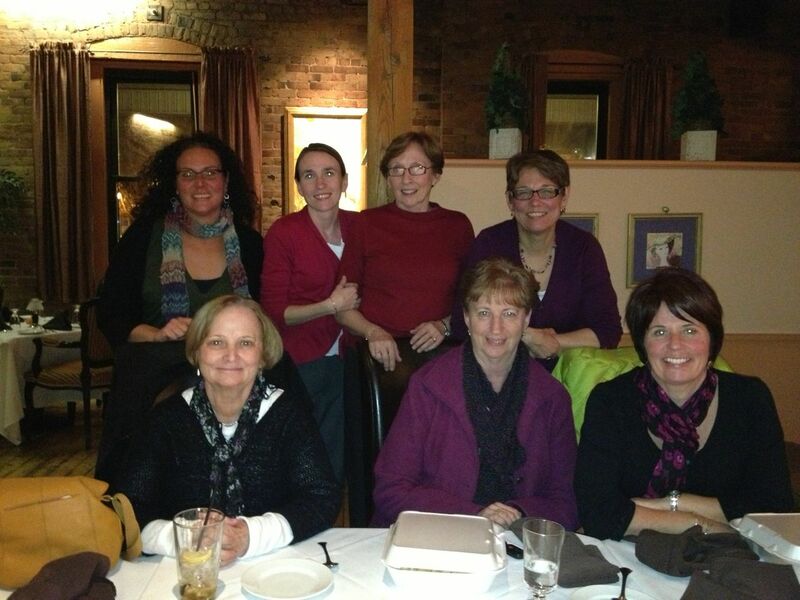 Plus, a good book club exposes us to ideas, authors, and cuisines that we might not have discovered to on our own. Just like the Westfield ladies probably wouldn’t have have found my book, had it not been for Connie’s gentle prodding. 😉 Right now, my book club’s reading THE BRIEF WONDROUS LIFE OF OSCAR WAO by Junot Diaz. 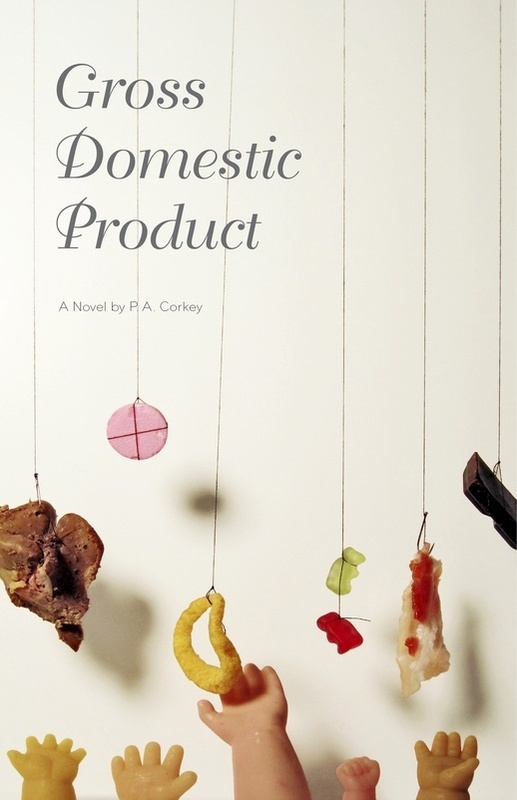 What are you reading in your book club? 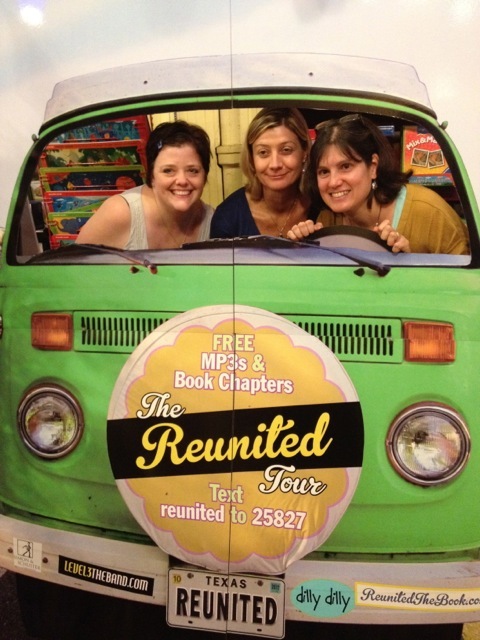 Books, food, and friends–a hat-trick of awesomeness. Welcome to “Toilet papering the Yard,” which, in addition to being an obnoxious yet biodegradable Halloween prank, is also the name of my group in the YAmazing Race with MGnificent prizes. If you’ve never hopped with us before, the YAmazing Race is the coolest blog hop ever featuring over 50 YA & MG authors and tons of excellent prizes including: books, gift certificates, swag, and a personalized make-over from Honey Boo Boo. Now tuck that away in your clever, little brain for the quiz at the end. 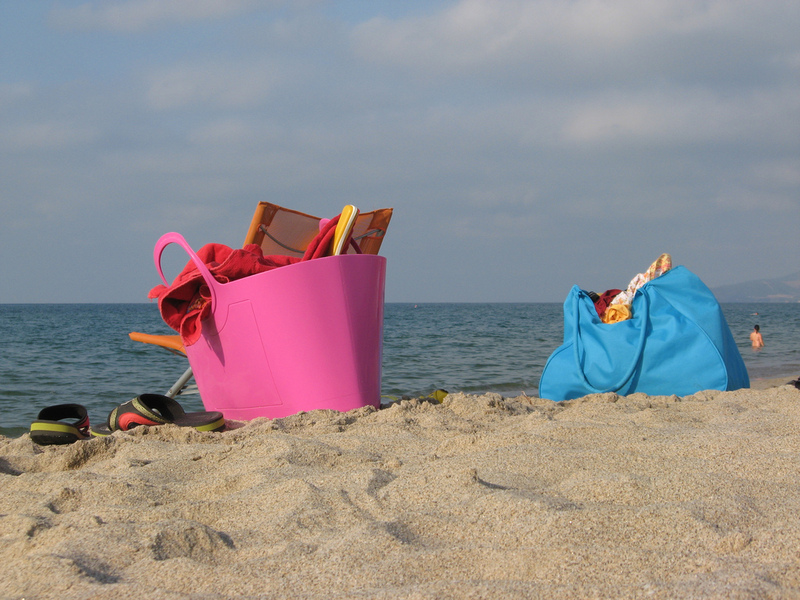 But before you go – here’s a bonus contest! Do any of the following and you’ll be entered to win a signed hardcover copy REUNITED! And if you do all five you’ll be entered five times! Ready to keep racing? 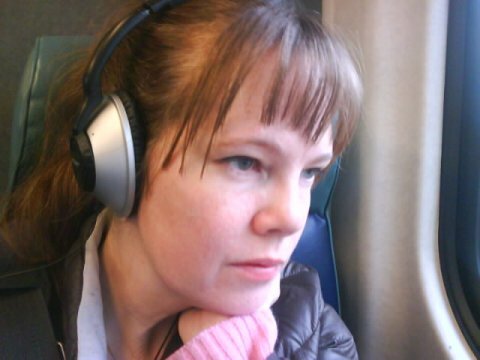 Then check out the website for INNOCENT DARKNESS author & steampunk goddess Suzanne Lazear to move on to the next stop. Good luck! On October 25th at 7:00pm, I’ll be doing a reading/book signing at the Glendale Americana Barnes & Noble along with the fabulous Carmen Rodrigues (34 PIECES OF YOU) and Suzanne Lazear (INNOCENT DARKNESS). 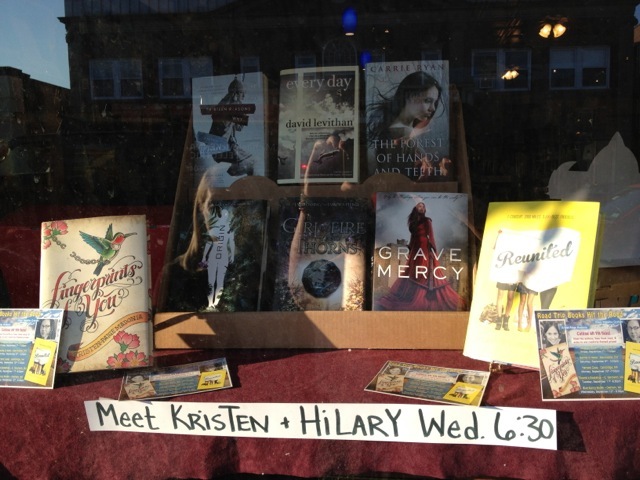 We’ll also be talking about the process of of seeing a Young Adult novel into the world. 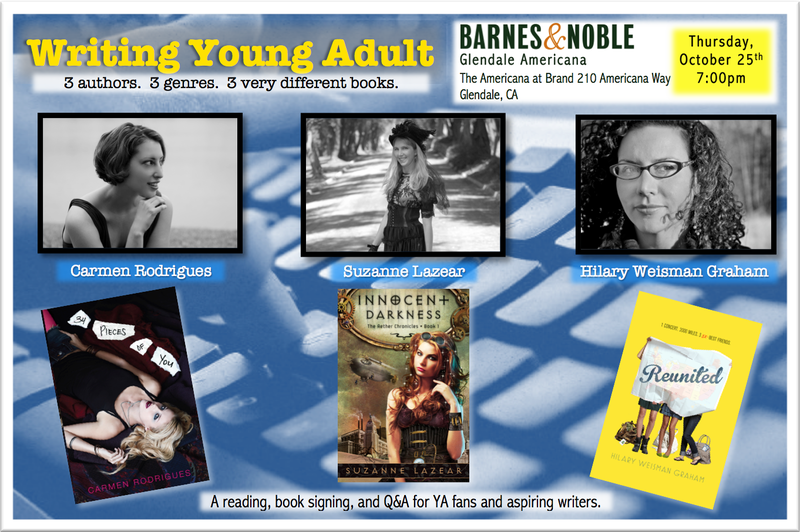 So, if you’re a YA fan and/or an aspiring writer, please join us for a night of books, fun, and giveaways! REUNITED, in very good company. REUNITED & WUTHERING HEIGHTS: literary soul-mates, or mere cooincidence? You be the judge. 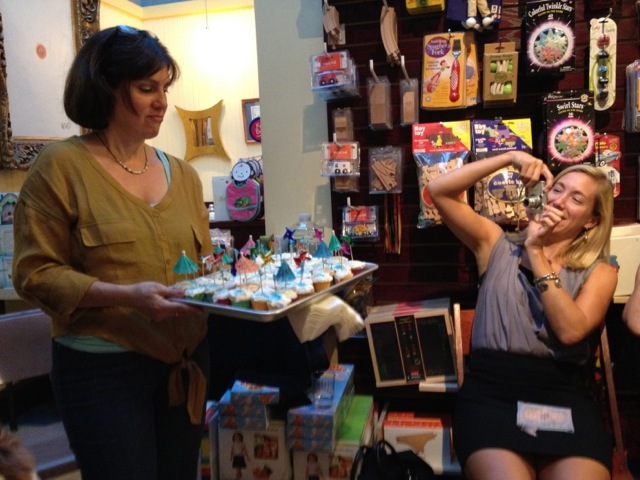 Thanks so much to the book-reading gals over at Glitter Magazine. 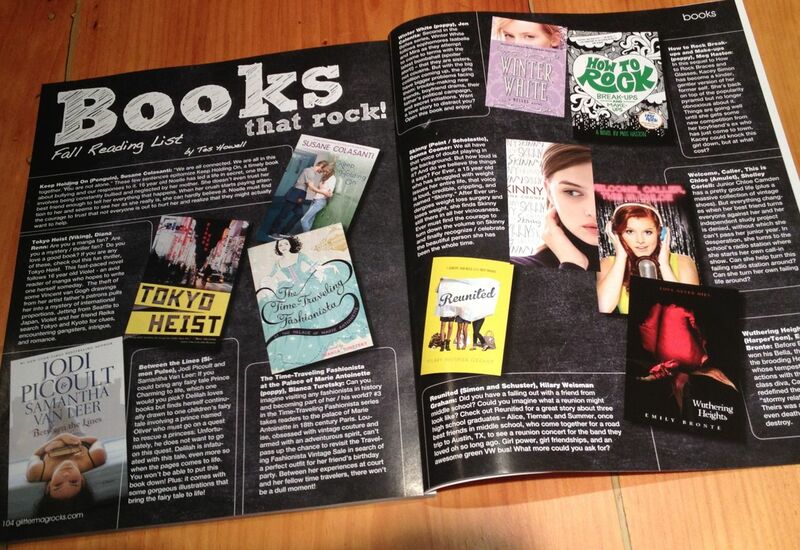 And big shout-outs to all of the other wonderful books & authors included here! So happy I got the chance to meet some local tweens & teens as well as some lovely and enthusiastic booksellers. Books & vanilla frosting. Two of life’s greatest pleasures. 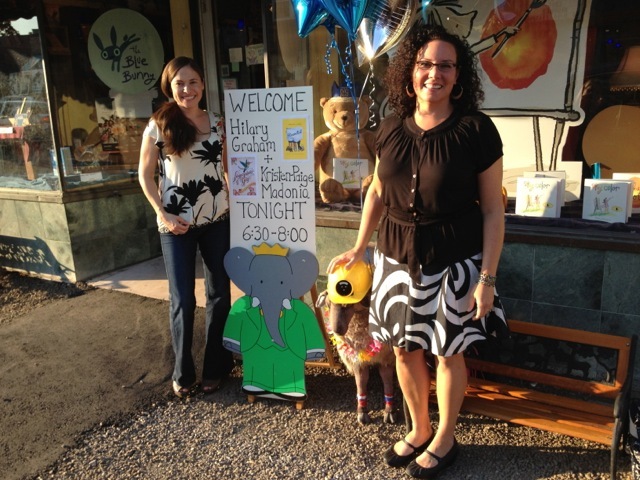 And how often do you get a photo op with Babar and a life-size stuffed sheep? 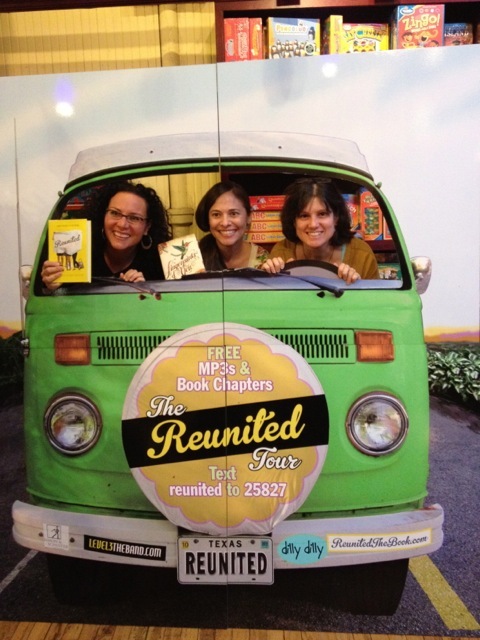 Of course, no Road Trip Book Tour stop would be complete without the obligatory Pea Pod photos. Kids: don’t read & drive. Overall, I’d say Kristen-Paige and I had a very successful (albeit slightly exhausting) week. 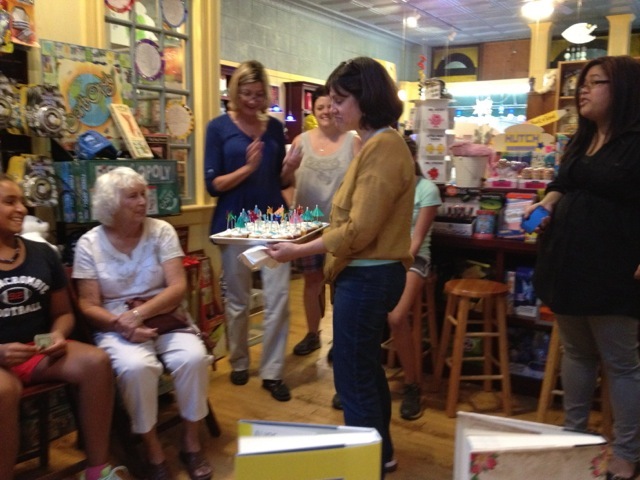 Thanks to all the booksellers, friends, and readers who came out to join us!